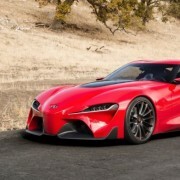 Since the FT-1 concept made its first debut last month at the 2014 Detroit Auto Show, this would be a clear indication of the Toyota`s intentions of making the Supra car one of the most desired and anticipated sports car. There were no further insides of the car then, but now, it is pretty obvious that the next-gen of FT1 is coming to smash its opponents with its resurrected Supra name, as The Motor Report guarantees it. 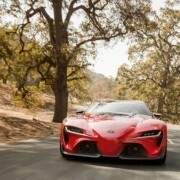 A trademark filed on February 10, gave Toyota the right to register the character mark “Supra” on its FT-1 concept. The sign clearly indicates the car`s supremacy, due to its front line engine and rear-drive wheel. 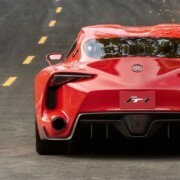 The production of the Toyota FT-1 Supra would be offered with two drivetrains, namely a turbocharged four-cylinder. The other drivetrain would sport a hybrid model with a 2.5-liter V6 engine backed up by a motor combo, developing a total of 400 horsepower. The FT-1 Supra will have a rear-drive system, potentially sitting on a sportscar platform with collaboration with the BMW car maker. 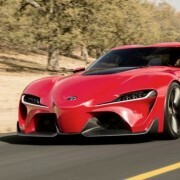 The Supra is supposed to be the top of the line sports car, weigh to high above its flagships GT 86 or FR-S.